Great location on the Quayside Boardwalk! Waterfront building with direct access to the Fraser River and its views. 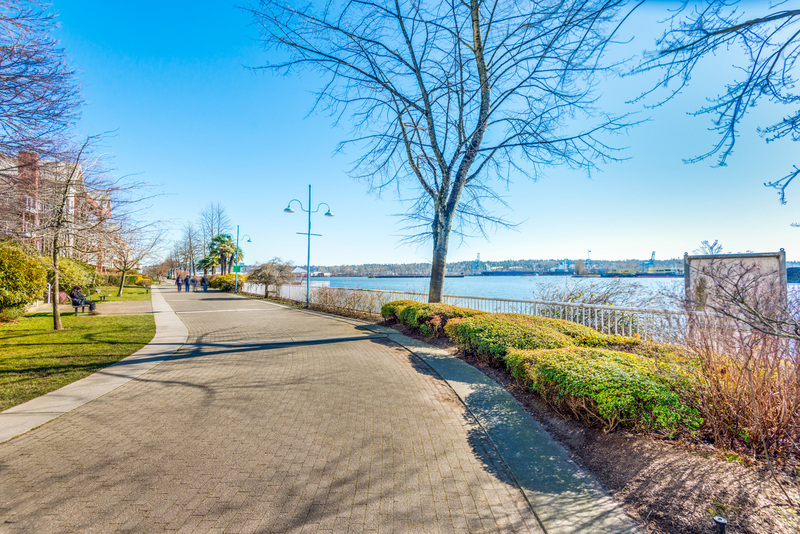 Enjoy an easy walk to the market, or take a stroll along the beautiful river bank. Quick access to the Sky train and bus. The building offers a large private garden with water features. This 2 bedroom, 2 bathroom condo has been well cared for with hardwood/laminate/ ceramic flooring updated throughout (2016), refurbished bathrooms (2016), walk-in closet organizers (2016), new kitchen appliances (2016-2017), stylish paint throughout (2017), and a new fireplace insert (2016). A move-in ready condo in one of the most convenient locations in New West!